Montrose boss Stewart Petrie is hoping it will be third time lucky for his side when they travel to face Queen of the South in Dumfries this evening in a William Hill Scottish Cup third round replay. 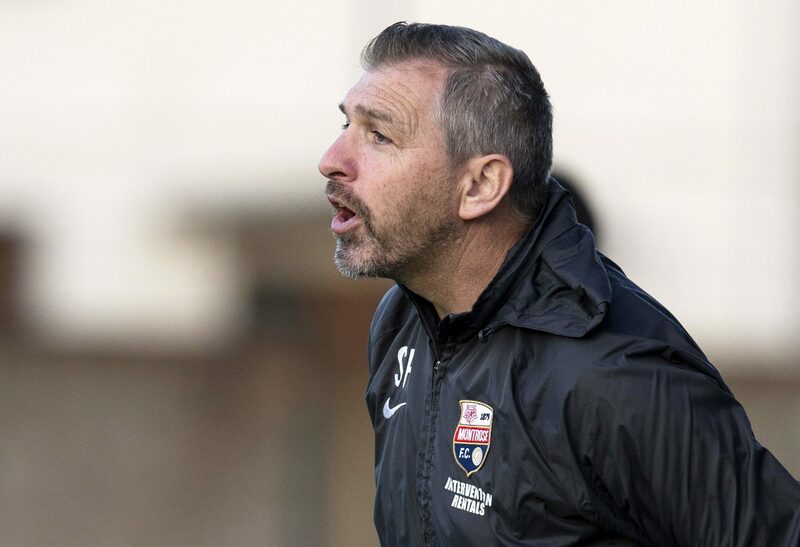 The Angus League 2 outfit gave as good as they got for the second time this season against the Championship full-timers on Saturday, drawing 0-0 at Links Park to set up another bite at the cherry. At the start of last month, Montrose gave Queens a huge scare in the League Cup before the Doonhamers prevailed in extra-time in the contest. Now, while Petrie is fully aware that his side are underdogs tonight, he is looking for his players – who are on an eight-game unbeaten run – to cause a big cup shock. The manager said: “The lads fully deserve another chance after a great performance on Saturday. “Their effort and application was first-class and I was delighted for everybody from the goalie to the two up front. “Queen had a great chance late on but it would have been a travesty if they had taken it. “We would have been suffering from a big sense of injustice if we did not have the chance of that second game. Petrie added: “Paul Watson is struggling with a knock he picked up on Saturday but thankfully everybody else seems fine and we should have a really strong bench again. “It is a quick turnaround for us and obviously we would have preferred to play the game a week on Tuesday but they already have a match that evening. “It means I have had to reschedule my diary for Tuesday like most of the lads but thankfully they all seem to have managed to get time off work. “Queens are a Championship side with some great players like James McFadden, John Rankin and Stephen Dobbie but we are on a good run just now and will go down there with confidence.